#1. 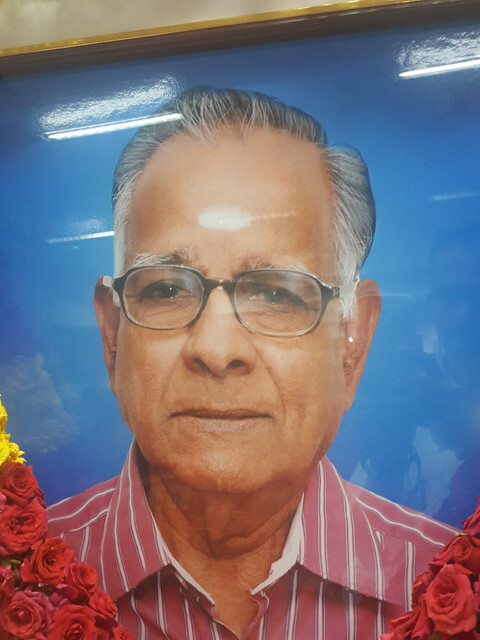 SV Ramani built the ranjani hall by donating a portion of land . i am not sure he alone did it or was that a trust where the land was brought for lease. As such this hall can house easily 400 folks and they are holding atleast 2 monthly concerts and for sure a 4 day festival of thyagaraja in Feb/March and also Dec/Jan season for 5 to 7 days. #2. This sabha NSTSS bubbles with extra enthusiasm , one definite reason is the bulk of rasikas are in that age group majority of 65 plus. Concerts are held and almost start on time and they give atleast 2 and half to 3 hours . Many days they also give great food by serving dinner.Ramani Sir in particular used to ensure all of them have food and he only eats after dinner being served . #4. SV ramani was extremely interested with S kalyanaraman music. Many concerts Ramani Sir has personally gone with SKR . He had taken special care in telling a lot about SKR and Suryaprakash stated he and musicians like Sangeeetha Swaminathan have been groomed with SKR music . Ramani Sir was an important karanakartha for that. 1 and 2 Was stated by Nanganallur Ramanathan and 3 and 4 stated by Suryaprakash. Collected this information from the concert last week,the link of tht concert is in viewtopic.php?f=13&t=31247 . From this year SV ramani's childen(Ranjani , Saraswati and Murali) and his wife are carrying forward the legacy of him. It appears that Murali , son of Ramani is surely going to take NSTSS and ranjani hall forward . I personally feel It is so important to curate concerts with the insight of what their parents have done with extreme thought and that is extremely critical legacy.The octagenerian Ramanathan Sir rotation of artists is great and there is always lead from the front enthusiasm from him. I only wish best of luck to NSTSS and hope efforts of family of Ramani sir and many like Nanganallur Ramanathan continue rocking.